World to the West In Stores Now! So… the day has finally come! All these months we’ve been sharing news with you. Showing you concept art, screens, the exhausted yet excited faces of our team members in events. We have introduced you to Lumina, heir of our beloved Teslakid; the young and optimistic Knaus, the bizarre strongman Lord Clonington and the talkative adventurer Miss Teri. Now, the time has come for you to join them and begin your journey to the West. World to the West is now available in stores, in both digital and physical editions (thanks to our publisher Soedesco). We sincerely hope that you like the result and enjoy the story we have crafted for you. 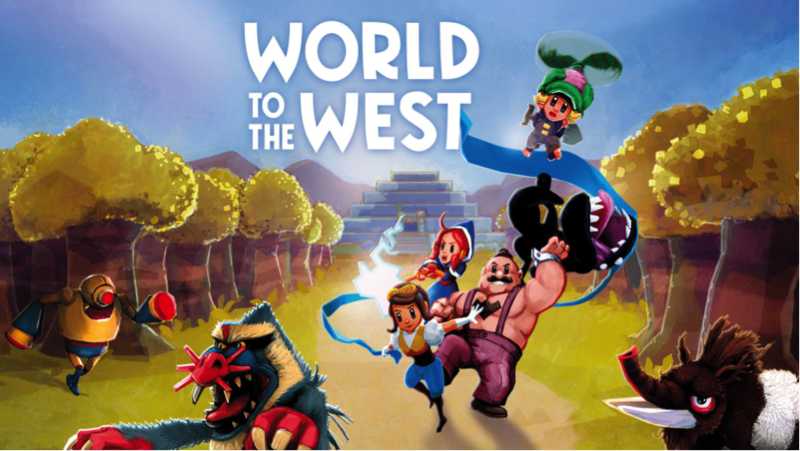 Get World to the West on Steam, GOG or Humble Store. If you want to play in console, the game is currently available for PS4 and Xbox One. Wii U users, fear not! We haven’t abandoned you: although we encountered some unexpected issues, we’re still releasing the game, as we stated recently in our social media. Stay tuned! Don’t hesitate to reach us in the comments of this post, and also on Facebook and Twitter, and give us your feedback. This entry was posted in World to the West and tagged World to the West by Mariela González. Bookmark the permalink. I’ve read that World to the West will be available for the Wii-U. Are there plans to port it to the Switch as well?